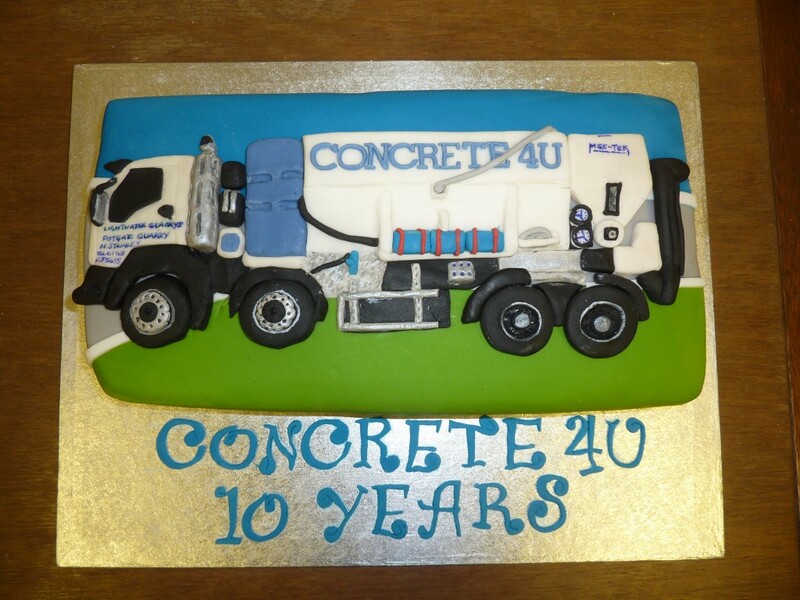 North Stainley based Concrete company Concrete4U celebrated its 10th anniversary on the 15th October. 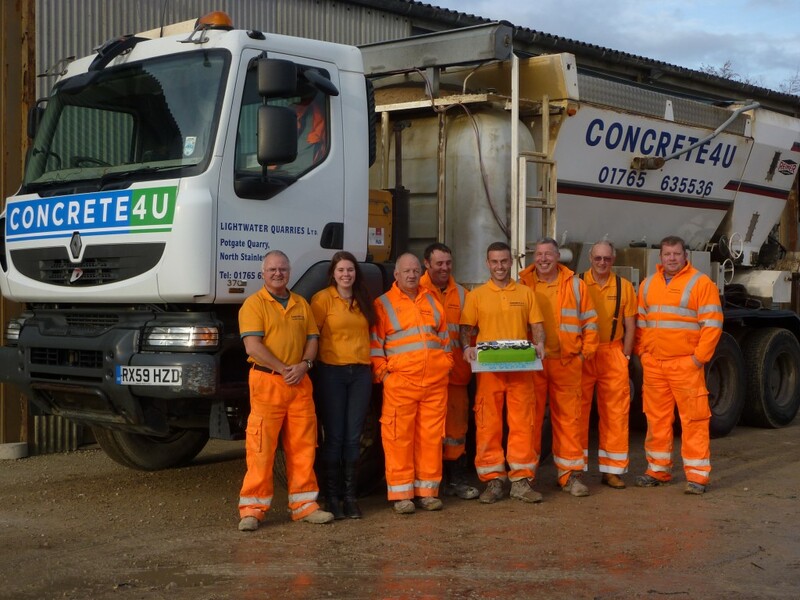 Set up in 2004 as part of Lightwater Quarries to supply concrete to the local North Yorkshire market, the business has grown to include three mix on site concrete wagons (volumetric) and one mini-mix concrete drum. Providing a friendly local service is part of the ethos of the company and enabling customers to only pay for what they use by mixing on site or weighing the material off the drum mixer means there is no waste and no mess. 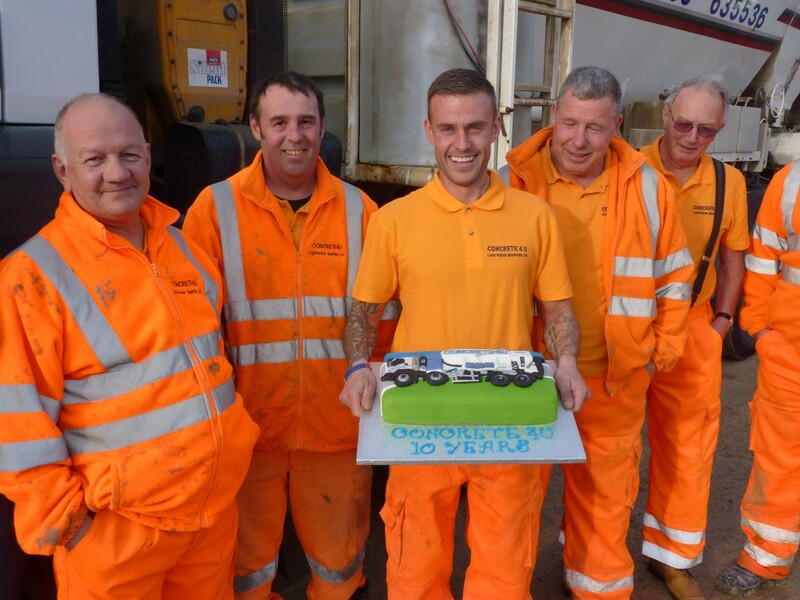 Celebrating 10 years the team got together with the original Concrete4U driver Jim Brook for a glass of champagne and a cake, made to look like one of the mix on site wagons.